Book Review: Ratification by Pauline Maier | What Would The Founders Think? Pauline Maier's new book, Ratification is a fantastic account of the events after the Constitutional Convention. She is perhaps the first scholar to delve into the history of what it took to get the new government installed and what near thing it was. Along the way she transforms dusty documents into living, breathing human beings, giving the reader a real flavor of even some of the lesser known luminaries who deserve the appellation - Founding Father. Pauline Maier is the first to chronicle the state-by-state history of the ratification of the Constitution. But Maier is more than a historian. She is an alchemist who transforms dusty documents into living, breathing human beings. Her brief biographical portraits of the contenders at state ratification conventions add context and color to the events. She also reveals the unique state politics that influenced each convention. Although Maier faithfully conveys the paramount issues, often with quotes from the debates, she is never tedious. Her account of the contentious conventions is riveting, even though the outcomes are known. Readers will be impressed, if not awed, by the confluence of people and events that made ratification possible. Despite the difficulties of weather, distance, and barely passable roads, ordinary people as well as statesmen participated, either as electors, or as convention delegates. 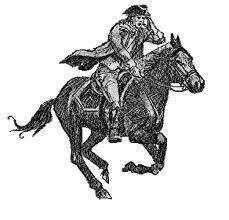 Many had experienced at first hand the depredations of unfettered government and had fought in the Revolutionary War. They were determined that the liberty won at such great cost would not be jeopardized anew. It soon becomes obvious that the Federalist vs. anti-Federalist prism in which we have previously viewed the ratification struggle is an over simplification. With few exceptions, all parties recognized the fatal weaknesses of the Confederation and favored a strong union. The devil was in the details of how this was to be accomplished. Even the names of the opposing sides are misleading. The title of anti-Federalist was a pejorative coined by supporters of ratification for those who opposed various provisions. By definition, then, advocates were Federalists. Although it could be argued that those who wanted stronger protections for states’ rights were the true Federalists. The antis did not necessarily agree on which constitutional provisions were objectionable, and not all Federalists were as sanguine as their published articles make them appear. Maier writes that the men who signed the Constitution, and who would be its most outspoken advocates in the months to come, left the convention with mixed feelings. None were satisfied with the document. It was, the delegates wrote in a letter to the president of Congress, fruit of “mutual deference and concession. They could only hope” it would promote “the lasting welfare” of the United States “and secure her freedom and happiness.” In George Washington’s view, “It was the best that could be obtained at the time.” He took comfort in the fact that the Constitution provided a means for amendments to remedy its imperfections in the future. The Constitution provided that power. Thirty-nine delegates from 12 states signed. Thirteen left before the convention’s end, some for personal reasons and some because they disagreed with the direction the convention was taking. Three others stayed until the end, but refused to sign: Edmund Randolph of Virginia wanted to allow the states to propose amendments and convene a second general convention to accept or reject them prior to ratification. His motion to that effect was seconded by George Mason (VA), and supported by Elbridge Gerry (Mass), but garnered not a single vote. The states would have to vote the Constitution as a whole up or down. Nine states would be required to ratify for the new government to go into effect. Randolph, Mason, and Gerry left vowing to prevent ratification unless their objections were first satisfied. The luminaries at each ratification convention are familiar names, but Maier introduces lesser lights and others lost in the memory hole of history; among these are Elbridge Gerry, Nathan Dane, James Wilson, William Findley and Governor Clinton of New York, among others. Each state convention had its own rules, determined the method by which the Constitution would be reviewed, and influenced the conventions that had not yet met. In Pennsylvania, supporters of ratification ran over the minority’s objections and rammed ratification through, leaving unresolved anger in their wake and casting the Federalists in a negative light. That caused supporters of the Constitution in the conventions that followed to be more circumspect and respectful of critics’ objections. The Federalists understood that, even if they prevailed, they had to do so in a manner that promoted reconciliation so that opponents accepted the outcome peacefully. By the end of 1787, four states had ratified. But the battles in the remaining states were hard fought and their outcomes far from certain. If, as Catherine Drinker Bowen wrote, the Constitution was the “Miracle at Philadelphia,” achieving ratification was just as improbable. Few people today are aware of just how close the votes really were and how slender were the threads that bound the nation together. Maier’s account of the debates, in addition to deepening readers’ understanding of the Constitution and the thinking that produced it, also reveals that the impetus for the American Civil War existed long before the founding. Nor was it slavery alone that marked the division between North and South. The Southern states were deeply suspicious of the North. They suspected the North of being willing to concede access to the Mississippi River to the Spanish to secure their own commercial interests, and to stem Southern population growth. The South feared for its future in a union dominated by a Northern majority. Massachusetts’ was the first convention to meet in a state where there was significant opposition to the Constitution. The delegates painstakingly reviewed the constitution article-by-article, line-by-line, and found much to dislike. Gerry and others thought the power to tax was excessive and would lead to abuses. They thought the general welfare clause too general and allowed for the expansion of the national government at the expense of the states. They demanded that these and other flaws be corrected before ratification. Finally, Governor John Hancock resolved the impasse by proposing a conciliatory plan of recommendations. It appears that behind the scenes political machinations are not a recent invention. 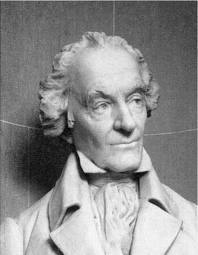 Hancock apparently made a bargain with his political adversaries for their backing in the next gubernatorial election in exchange for presenting a Federalist proposal. He told the delegates that Massachusetts should ratify without qualification but should also “enjoin upon their representatives in Congress” to “exert their influence“ to secure nine amendments to the Constitution. When the question was finally called, 187 delegates voted for ratification, 168 against, nine delegates being absent. Opposition to the Constitution was also strong in New Hampshire. When the Federalists determined they lacked the votes for ratification, they moved “that the convention adjourn to some future day” rather than risk rejection. The motion carried by a vote of 56 to 51. Washington and Madison feared that Henry’s oratorical powers coupled with George Mason’s determination to insist on prior amendments would scuttle ratification and influence New York and North Carolina to follow suit. The subtitle of Maier’s chapter on the Virginia Convention is “The Battle of Giants” and it was. All the stars of Virginia politics were there; Patrick Henry, George Mason, James Monroe, Governor Edmund Randolph, John Marshall and, of course, James Madison. 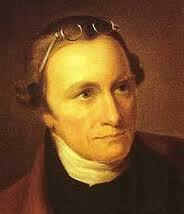 Henry saw nothing good in the Constitution. He saw only its “deformities, including “an awful squinting toward monarchy.” However, with Madison’s encyclopedic knowledge of the Constitution, he was more than able to respond to Henry’s objections. Finally, George Wythe1 moved that “any imperfections in the Constitution should be addressed through the amending process it prescribed rather than endanger the union by seeking previous amendments.” Henry of course objected, countering by again denouncing the “absurdity” of ratifying the Constitution “and relying on the chance of getting it amended afterwards.” He continued to expound at length as he did throughout the Convention. (See Gouverneur Morris 2 humorous depiction.) After much discussion and the preparation of a list of amendments, the motion was made to adopt the Constitution without previous amendments, but forward their resolutions to Congress for action. The tally was 89 for 79 against. By the time the New York’s convention met, eight states had ratified. Just a week after the Convention opened, the news arrived that New Hampshire had reconvened and ratified, bringing the number of ratifying states to nine. That meant the Constitution could go into effect. The dynamic had changed. The decision now before New York was whether to stay in the union. John Lansing3 said New York should not be swayed by these events. ”It is still “our duty to maintain our rights…let them make the experiment … we ought not …to suffer our fears to force us to adopt a system which is dangerous to liberty.” However, despite the preparation of amendments as a condition of ratification, the reality was New York could not rationally demand amendments prior to something that had already occurred. New York voted 30 for, 27 against. Even “Rogue Island” had to come to terms with that hard reality. A convention was convened and the Constitution was ratified, barely, 34 to 32. Thanks to Madison’s efforts, the amendments addressed many of the critics’ concerns. In the light of hindsight, it can be said without hesitation that some of those concerns frame the reality in which we now live. It thus falls to us in our time to determine whether the Founders’ vision will prevail, or whether the Republic they framed with such foresight and care will wither away under the continued onslaught of an avaricious government until it becomes something else entirely. The Constitution they gave us proved more successful than its most devoted advocates imagined: It has guided the United States for over two centuries as its boundaries expanded from the Mississippi to the Pacific and its influence spread over the world. The Constitution’s success came less from perfection in its design than from the sacrifices of men like Washington who rook on the presidency with more reluctance than he took to the field with Continental Army. It also owes much to the dogged commitment of ordinary Americans like the townsmen of Richmond, Massachusetts, and Preston, Connecticut, Madison’s testy constituents in the Virginia Piedmont, and the capable delegates they sent to their state ratifying conventions. They refused to be told that the issues of the day were beyond their competence. They put their minds to complicated problems, tried to reconcile the ideals of the Revolution with the needs of the nation, and considered the impact of contemporary decisions not just n their own lives but for the future—for “millions yet unborn ” as one person after another put it. As part of those millions, dare we do less for our progeny? 1 Thomas Jefferson studied law under George Wythe as did John Marshall, among others. He was highly respected in Virginia . Wythe’s name is the first of the Virginia delegates to sign the Declaration of Independence, an honor accorded him by the rest of the delegation. 2 Gouverneur Morris, who represented Pennsylvania at the Convention in Philadelphia in 1787, was the author of much of the Constitution. Maier writes that Morris seemed more amused then entranced with the length of the debates. She provides his chronicle of the convention in verse for readers’ enjoyment. 3 John Lansing was elected to the New York State Assembly at age twenty-six. 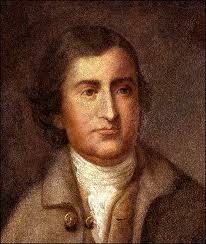 He served in the legislature in 1780-84, 1786, and 1788-89. 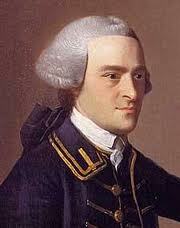 In 1786 and 1789, he was Assembly speaker. 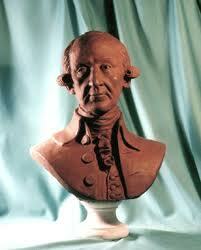 In 1786, he was appointed mayor of Albany – serving at City Hall until 1790.